We live and work in some of the world's most incredible locations. Add to this, challenging work assignments and excellent opportunities for career and professional growth with Canada's largest diversified natural resources company and we think you'll find what you're looking for. Many of Teck's operations are located in some of the world's most incredible locations where you'll find a lifestyle second to none. Put your education to work. At Teck, we have a range of opportunities for students to expand their knowledge and skills in a rapidly-expanding sector. Teck offers a very competitive compensation package. Compensation includes a comprehensive benefit package. Superintendente/a Construcción Trabajos Marinos (Área Eléctrica), Iquique, Region de Tarapaca, Chile Hot! Administrador/a de Contratos, Iquique, Chile Hot! Gerente/a de Puerto Quebrada Blanca 2, Iquique, Chile Hot! Project Administrative Assistant (12 month temporary), Vancouver BC, Canada Hot! Project Geologist, Vancouver BC, Canada Hot! Sales Administrator, Toronto ON, Canada Hot! Project Assistant Summer Student (4 month temporary), Vancouver BC, Canada Hot! Especialista Senior Contratos, Santiago, Region de Metropolitana, Chile Hot! Business Intelligence Co-op Student, Vancouver BC, Canada Hot! Application Co-op Student, Vancouver BC, Canada Hot! Senior Business Analyst, Vancouver BC, Canada Hot! Senior Process Engineer, Coal and Energy, Trail BC, Canada Hot! Manager, Risk & Loss Control, Vancouver BC, Canada Hot! Geólogo/a Proyecto Quebrada Blanca Fase 3, Santiago, Chile Hot! Mining Engineer, Long Range PLanning, Sparwood BC, Canada Hot! Superintendente Medio Ambiente QB2, Santiago, Chile Hot! Geólogo/a de Proyecto Exploraciones, Santiago, Chile Hot! Administrator of Training and Development, Sparwood BC, Canada Hot! Qualified Blaster, Hinton AB, Canada Hot! Superintendente/a de Construcción (Relave y Obras Anexas), Iquique, Chile Hot! Lead, Calcite Program, Sparwood BC, Canada Hot! Desktop Support Technician, Sparwood BC, Canada Hot! Data Management Analyst (Biodiversity), Geographic Information Systems (GIS), Sparwood BC, Canada Hot! Senior Training Applications, Sparwood BC, Canada Hot! 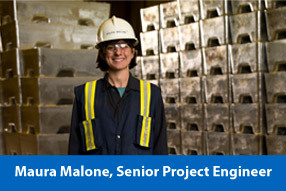 Senior Mining Engineer, Hinton AB, Canada Hot! Mine Technician, Logan Lake BC, Canada Hot! General Counsel & Secretary, Spokane WA, USA Hot! Site Administrative Assistant, Vancouver BC, Canada Hot! Drill Core Sampling Technician, Vancouver BC, Canada Hot! Engineering Clerk (Long-term, Temporary), Sparwood BC, Canada Hot! Senior Training Coordinator, Mine Operations, Sparwood BC, Canada Hot! Environmental Data Management Programmer, Sparwood BC, Canada Hot! Project Geologist, Coal (6-8 Months Temporary), Elkford BC, Canada Hot! Environmental Assistant, Vancouver BC, Canada Hot! Senior Analytics Software Developer, Calgary AB, Canada Hot! Lead, Environment, Hinton AB, Canada Hot! Jefe/a Eléctrico de Alta Tensión QB2, Santiago, Region de Metropolitana, Chile Hot! 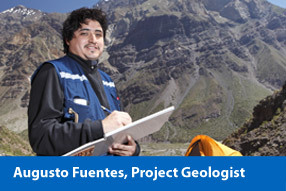 QB2 Electrical High Voltage Supervisor, Santiago, Chile Hot! Mining Engineer, Logan Lake BC, Canada Hot! Project Geologist - Red Dog (12 Month Temporary), Red Dog AK, USA Hot! Senior Geotechnical Engineer, Hinton AB, Canada Hot! Process Operator, Trail BC, Canada Hot! Senior Process Engineer, Sparwood BC, Canada Hot! Supervisor, Water Treatment, Sparwood BC, Canada Hot! Analyst, Talent Management, Vancouver BC, Canada Hot! Heavy Duty Mechanic - Journeyperson, Logan Lake BC, Canada Hot! Pipefitter, Sparwood BC, Canada Hot! Warehouseperson, Sparwood BC, Canada Hot! Electrician, Sparwood BC, Canada Hot! Pit Utility/Haul Truck, Hinton AB, Canada Hot! Welder, Sparwood BC, Canada Hot! Heavy Duty Mechanic, Sparwood BC, Canada Hot! Entry Level/Labour, Sparwood BC, Canada Hot! Industrial Mechanic (Millwright), Sparwood BC, Canada Hot! Pit Utility/Haul Truck, Sparwood BC, Canada Hot! Temporary Laboratory Assistant, Red Dog Mine Alaska, USA Hot! Mine Mobile Equipment Trainer, Red Dog Mine Alaska, USA Hot! Pension Analyst, Vancouver British Columbia, Canada Hot! 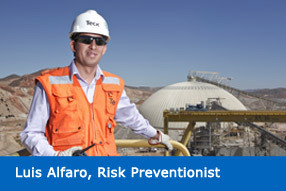 Safety and Loss Control Coordinator, Elkford British Columbia, Canada Hot! Superintendent, Health and Safety, Elkford British Columbia, Canada Hot! Administrative Assistant, Human Resources & Training, Hinton Alberta, Canada Hot! Environmental Specialist, Metaline Falls Washington, USA Hot! Legal Assistant, Trail British Columbia, Canada Hot! Geólogo de Exploración, Guadalajara JAL, Mexico Hot! Superintendente Infraestructura, Iquique TA, Chile Hot! Lead, Technology and Innovation, Vancouver British Columbia, Canada Hot! Geotechnical Engineer or Engineer-in-Training, Sparwood British Columbia, Canada Hot! Cost Analyst, Operating Excellence, Elkford British Columbia, Canada Hot! Lead, Operating Excellence, Elkford British Columbia, Canada Hot! Ingeniero(a) de Proyectos (Especialidad Mecánica), Iquique TA, Chile Hot! Health and Safety Coordinator, Sparwood British Columbia, Canada Hot! Civil Engineer, Logan Lake British Columbia, Canada Hot! Mining Systems Technician, Logan Lake British Columbia, Canada Hot! Mechanical/Civil Engineer, Trail British Columbia, Canada Hot! Safety and Loss Control Supervisor, Sparwood British Columbia, Canada Hot! Recruiting Clerk, Human Resources (Temporary), Sparwood British Columbia, Canada Hot! Superintendent, Major Maintenance Shutdowns, Trail British Columbia, Canada Hot! Executive Assistant, Corporate Affairs, Health and Safety, Vancouver British Columbia, Canada Hot! Project Geophysicist, Wicklow, Ireland Hot! Ingeniera/o Sénior Mina, Santiago RM, Chile Hot! Senior Labour Relations Coordinator, Trail British Columbia, Canada Hot! Project Contract Specialist, Red Dog Mine Alaska, USA Hot! Property Services Assistant (Casual), Trail British Columbia, Canada Hot! Sep 2018 Teck Digital Systems Co-op, Elk Valley British Columbia, Canada Hot! Exploration Accountant, Vancouver British Columbia, Canada Hot! HRIS Analyst, Vancouver British Columbia, Canada Hot! HRIS Analyst, Kamloops British Columbia, Canada Hot! HRIS/Recruiting Specialist (Temporary, 9-12 months), Trail British Columbia, Canada Hot! Cost Controller, Red Dog Mine Alaska, USA Hot! Especialista Senior Recursos Hídricos, Santiago RM, Chile Hot! Plant Technician, Roaster-Acid (Casual), Trail British Columbia, Canada Hot! Software Analyst - Analytics, Sparwood British Columbia, Canada Hot! Senior Geotechnical Engineer, Elkford British Columbia, Canada Hot! Mining Engineer - Long Range Planning, Hinton Alberta, Canada Hot! HRIS Analyst Co-op Student (August 2018 - April 2019), Vancouver British Columbia, Canada Hot! Metallurgical Engineer, Logan Lake British Columbia, Canada Hot! Heavy Duty Mechanic - Journeyperson, Logan Lake British Columbia, Canada Hot! Continuous Improvement Lead, Logan Lake British Columbia, Canada Hot! Electronics Technician, Elkford British Columbia, Canada Hot! Senior Internal Auditor, Vancouver British Columbia, Canada Hot! Assay Laboratory Laborer-Temporary, Metaline Falls Washington, USA Hot! Lead, Regulatory Approvals, Sparwood British Columbia, Canada Hot! Autonomous Haulage System (AHS) - Controller Supervisor, Logan Lake British Columbia, Canada Hot! Autonomous Haulage Systems (AHS) - Builder Supervisor, Logan Lake British Columbia, Canada Hot! Autonomous Haulage Systems (AHS) - Pit Supervisor, Logan Lake British Columbia, Canada Hot! Sep 2018 Human Resources Co-op - Multiple Locations in BC, Vancouver British Columbia, Canada Hot! Electrical Planner, Metaline Falls Washington, USA Hot! Talent Community - Highland Valley Copper, Logan Lake, British Columbia, Canada Hot! Senior Facility Operating Technician, Red Dog Mine, Alaska, USA Hot! Jefe/a Desarrollo Comunitario, Iquique TA, Chile Hot! Lead, Regional Water Monitoring, Sparwood British Columbia, Canada Hot! Miner, Metaline Falls, WA, USA Hot! Electrician, Sparwood, British Columbia, Canada Hot! Heavy Duty Mechanic, Sparwood, British Columbia, Canada Hot! Millwright, Sparwood, British Columbia, Canada Hot! Pit Utility/Haul Truck, Sparwood, British Columbia, Canada Hot! Warehouseperson, Sparwood, British Columbia, Canada Hot! Heavy Duty Mechanic, Hinton, Alberta, Canada Hot! Loss Prevention Officer - Casual, Sparwood, British Columbia, Canada Hot! Entry Level/Labour, Sparwood, British Columbia, Canada Hot! Heavy Duty Mechanic Apprentice, Sparwood British Columbia, Canada Hot! Pit Utility/Haul Truck, Hinton Alberta, Canada Hot!